Mutekki Media has released Audio Boutique – Electric Elements Vol 2, a new sample library for all ambitious minimal, electro and tech house producers. Sophisticated sounds full of creativity and freshness meet up with unbelievable effects and loops beyond imagination. 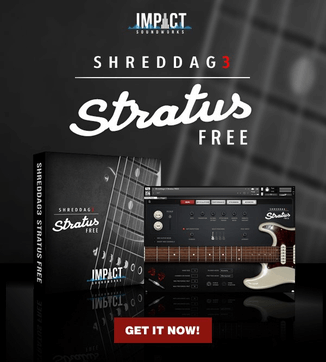 This pack breaks up with boring standard repertoires and brings your production to a whole new level. No wonder: Two rock-steady heroes have reached deep into their sound boxes for this collection. Ramon Zenker, multi-award winning musical titan and one of the most experienced german producers already hit the bull’s eye with countless hits nationally and internationally and across all genres during the last two decades. His partner Harald “Harada” Aufmuth with his current productions on BluFin, Trapez, Micro.fon, Kiddaz.fm and Leftroom is one of the star newcomer in the Minimal and Deep Techno scene. Whether it’s quirky noise effects, uplifting sweeps, funky drums, spacy fragments, unusual hit loops or nostalgic vintage sounds: this pack contains everything to stand out from the crowd. 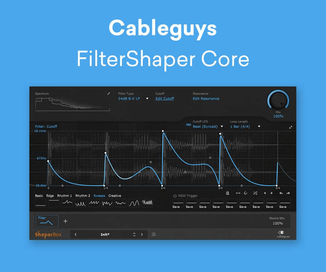 Of course there are also many crunchy drum and bass loops, pumping bass drums and playable bass sounds to create your own bass lines. Includes 20 Atmos, 48 FX Sounds, 25 Hi Hat Loops, 50 Glitch Loops, 22 Sequencies, 62 One Shots. 97 REX2 Loops & 97 Apple Loops. Soft Sampler patches for NNXT, Halion, Kontakt4 and EXS24. 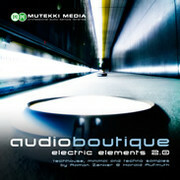 Audio Boutique – Electric Elements Vol 2 is available to purchase from Loopmasters for £28.95 GBP.